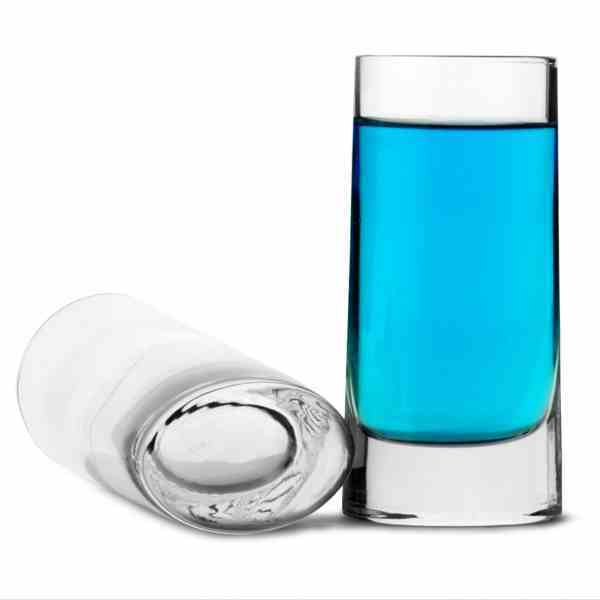 This unique looking 2.6oz shot glass has a heavyweight 20mm thick oval base that tapers to form a circular rimmed glass. Shot glasses are ideal for hen or stag parties or use them to celebrate any special event. Made from Luigi Bormioli's SON.hyx crystal glass, these glasses are designed to be highly resistant to damage and are dishwasher safe. For engraving we recommend upto 5 lines of 15 characters per line including spaces.